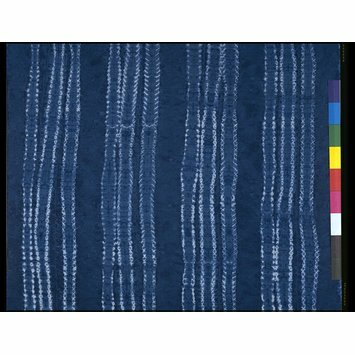 This piece of stitched, indigo tie-dyed cotton was produced under the direction of textile designer Susan Bosence around 1961. 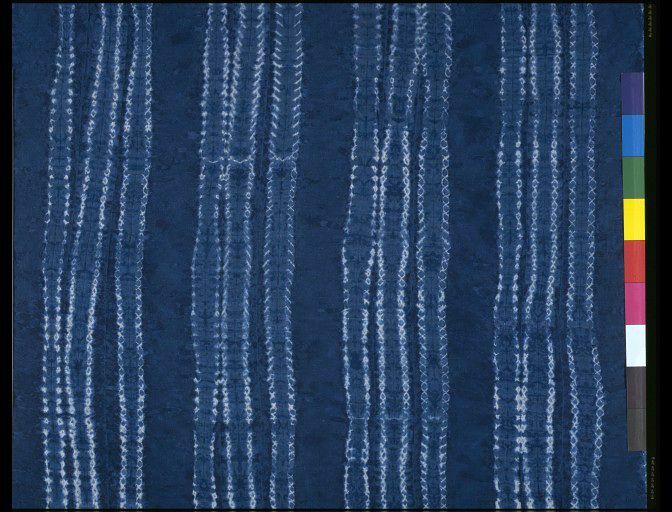 Bosence's own work evolved through the use of block printing and resist dyeing during the 1950s, inspired by the work of Phyllis Barron and Dorothy Larcher. She later opened a dyehouse and printing studio at the New Adult Education Centre in Dartington, where Bosence taught these methods through the 1960s, and where this piece was probably produced. She also taught at the Camberwell School of Arts and Crafts and the West Surrey College of Art and Design in Farnham, until the mid-1980s. Susan Bosence has become well recognised for her influence as a teacher, as well as for her work as a designer in her own right. 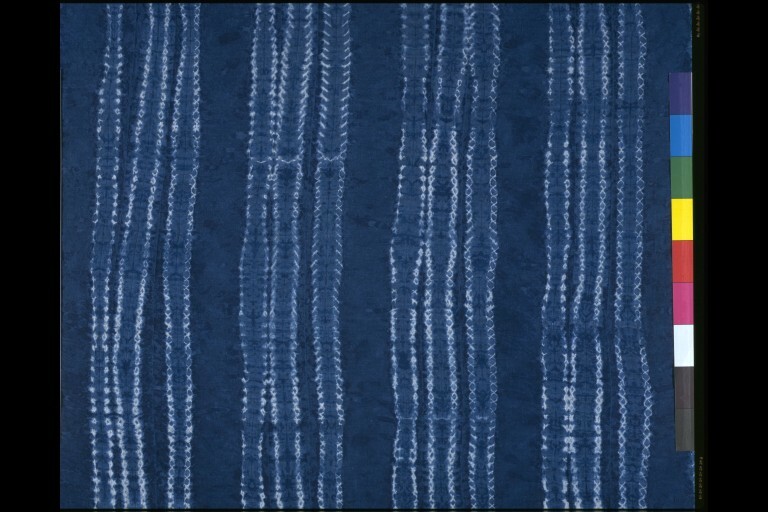 Sample of indigo tied-dyed and sewn cotton.